Consider the Cabins at Crabtree Falls in Nelson County, with an 1800's log cabin or two contemporary mountain cottages; each is fully equipped and accommodates up to eight people. Luray/Page County was just named the Cabin Capital of Virginia and it's easy to see why, with nearly 600 throughout the area. One stunning example is the luxury cabins of Appalachian Adventure Lodging. Each three bedroom site is built for comfort, with fireplaces and hot tubs. Enjoy the natural setting just outside of Shenandoah National Park and also near Luray Caverns. Experience the serenity and scenery of Chestnut Creek Cabins in Galax, Virginia near the Blue Ridge Parkway. The six authentic log cabins have large porches with rocking chairs and outstanding views of the Blue Ridge Mountains. Each little retreat has a kitchen, living area with fireplace, bedroom and bath. Breakfast is included and delivered to the cabins each morning. Ahh, a weekend in the woods. Don't be afraid of the Growling Bear in Massanutten, Virginia. It's a cedar A-frame home nestled on the mountain side in Massanutten Resort. Growling Bear has three bedrooms, three baths and two stone fireplaces. 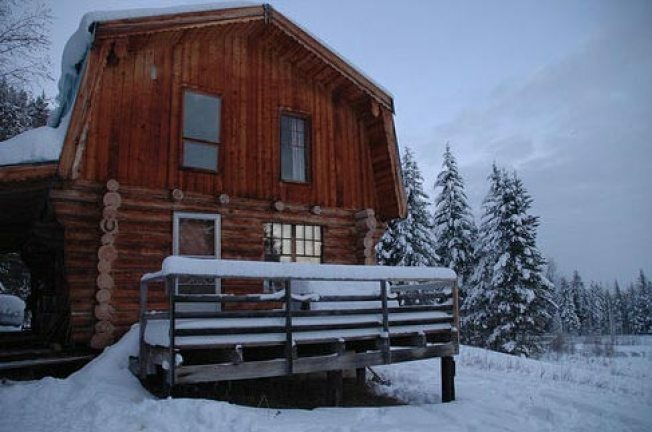 This is ideal for active families who love to ski, golf, hike and fish. Vacation at 3,200 feet at Mountain Laurel Lodge atop Warm Springs Mountain. This luxury lodge in Bath County, Virginia has views that extend for 50 miles over the Alleghenies and across the Shenandoah Valley. Families can gather in the great room with a beamed cathedral ceiling and fireplace for board games and hot cocoa. Enjoy the serenity of Virginia's seaside escapes for winter getaways. The pristine nature of Virginia Beach's Sandbridge area, with incredible beachfront homes, is perfect for large family gatherings. Wake up each day to the sound of the ocean before visiting nearby attractions or taking a winter whale watching excursion. Plan a vacation on the shores of the Chesapeake Bay and experience the charm of Virginia's Eastern Shore at Bay Creek Resort and Club. The resort homes are completely equipped and furnished for fun. Enjoy golf, boating, nature walks, antique treasure hunts, sunset dining and cozy evenings, all with the ease and informality that build traditions and fond memories. Make vacation history with a getaway at one of Virginia's historic homes. Go back in time at the Farmhouse at Mill Creek in southwest, Virginia. This 200 year-old log farmhouse has historic charm with modern comfort. Enjoy nearby hiking and biking trails in Damascus, as well as shows at The Lincoln Theater in downtown Marion. Make Miriam's House in Rappahannock County home for the holidays. This three bedroom historic house sits on a 328-acre "green" estate in the Northern Virginia region. Families can hike and fish without leaving the premises - it's like having a private state park. Take advantage of catering, maid and massage therapy services and a multitude of attractions including horseback riding, antiquing and fine dining. Virginia's resorts range from indoor waterparks to winter sports havens to golf fanatics heaven. There are nearly 20 all-in-one resorts in Virginia where families can spend a week and never have to worry about where to dine or how to keep busy, as it's all found within the resort. Visit www.Virginia.org and search Places to Stay to see the complete list of resorts for families in Virginia. Go to www.Virginia.org to search for vacation rentals. Look under "Places to Stay" for complete listings by region across the state. Each listing includes a link that shows nearby attractions, restaurants, shopping and more. Visit nearby museums, magnificent caverns, trails, music venues and other destinations to round out the perfect winter retreat.